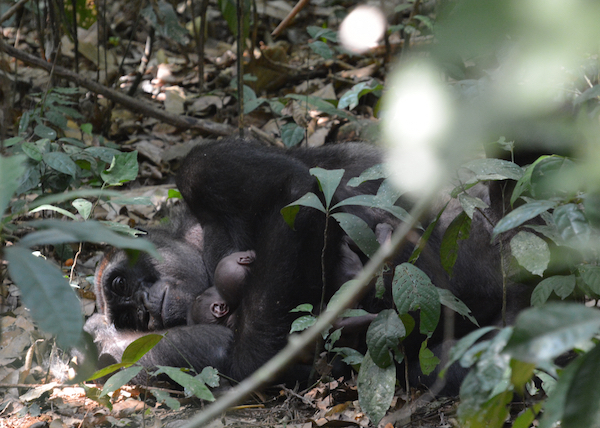 Still too young to be named, the most recent additions to the gorilla population in the Dzanga-Sangha Protected Areas (DSPA) complex in the Central African Republic (CAR) are nevertheless making a name for themselves – as the first twins ever to be born to the area’s habituated gorillas. 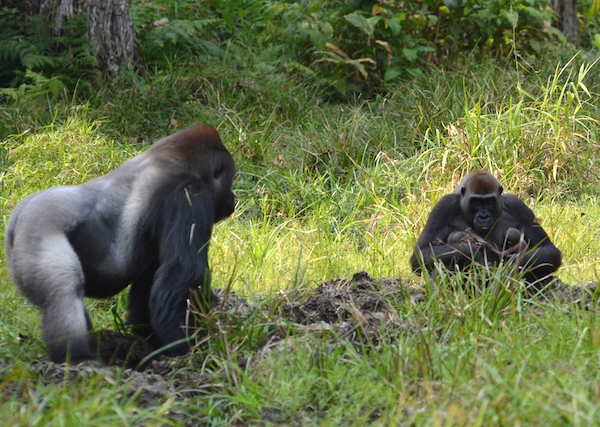 The infants were first spotted at Bai Hokou at the end of January, clinging to their mother, Malui – with their father, the resident silverback Makumba, loitering protectively nearby. The gorilla habituation and research programme has been running in Dzanga-Sangha since 1998 – so Malui’s twins have caused a stir. “These are the first twins ever recorded in Dzanga-Sangha and their birth is an incredible moment for everyone who has worked so hard to habituate and conserve these gorillas over the past 16 years,” said David Greer, WWF African Great Apes Programme Leader, who worked in Dzanga-Sangha for over eight years. The DSPA is co-managed by the CAR government and WWF, which habituates gorillas for tourism and research through its Primate Habituation Programme. Apart from being the major source of employment for local people, the programme plays a vital role in the DSPA’s management strategy by generating much-needed revenue and strengthening the vital links with the community. The project employs over 80 eco-guards for continuous surveillance of the area and actively supports the sustainable use of natural resources. “These tiny twins are a sign of success in Dzanga-Sangha but gorillas continue to face serious threats from poaching, disease and habitat loss across Central Africa and their futures are far from secure, which is why WWF is working with governments and partners throughout the region to protect them and their forest habitat,” said Greer. Although multiple sets of twins have been recorded for eastern gorillas, it seems to be a rare occurrence for western gorillas. Another set of western gorilla twins was recorded in Mbeli Bai in northern Congo last year and both are still going strong. Malui and her twins in Dzanga Sangha, CAR. The first twins ever born to habituated gorillas in the country. Malui and her twins in Dzanga Sangha, CAR. Their father is Makumba, the resident silverback. 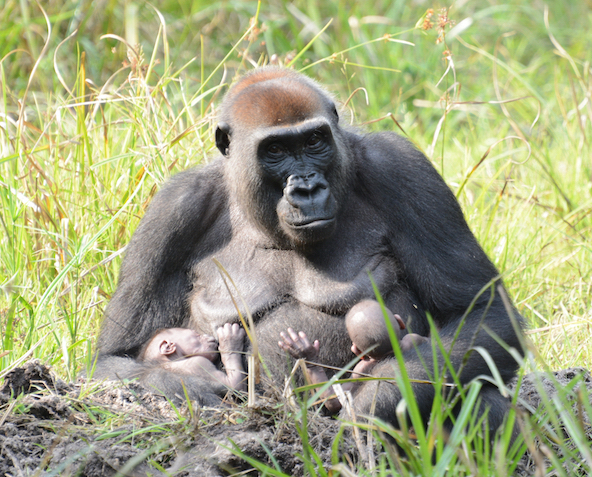 The first twins ever born to habituated gorillas in the country.